What we do: PSV is an industrial engineering company comprising of an industrial supplies business and a specialized services business. 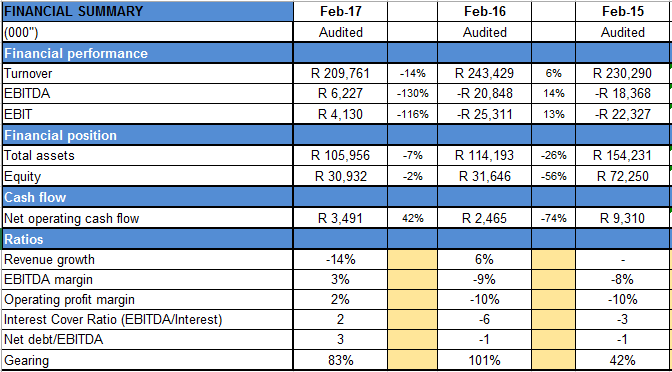 Ownership & Management: Windfall 28 Investments (Pty) Ltd 39.07%, Directors and associates 24.44%, Public 36.49%. The company is governed by an effective board of directors.